His name might not be familiar to all, but 36-year-old Sandhy Sondoro has made remarkable achievements in music, putting Indonesia on the international stage by winning New Wave 2009, a contest for young pop singers. Music has been part of Sandhy Sondoro's life since he was a little boy. His mother was in band made up of co-workers from her office; his cousin, Ira Maya Sopha, was a famous child singer during the 1970s. Sandhy, born in 1973, listened to different kinds of music, ranging from American pop, to folk, jazz and the blues; in particular, he adored The Beatles, Michael Jackson and Neil Young. Yet his music career began unexpectedly and unplanned, while he was in Germany. He went to Germany to study architecture after he graduated from high school in Jakarta. As he lived alone there and needed to support himself, he was on the lookout for a job. "I was a singer in a uni band but we rarely appeared on stage, so I couldn't rely on the band to make more money," Sandhy says. He did have the opportunity to work in a supermarket, and headed there by bike. "But I didn't get *the job* because I was late," he says. "On my way back to my apartment, I saw a busker on the street. I thought, *Well, being a busker was a good idea.'" He approached the busker to ask if he could join him in singing on the streets. The busker agreed. "So I borrowed my friend's guitar and played on the streets. We got about 50 deutschemarks in an hour and we shared the money," he says. "That wasn't bad." They played three times a week before he decided to go it alone. "The money was enough to pay the rent or buy materials for my studies," he says, adding he also busked on subways. But he wasn't destined to remain a busker forever. He started to write more songs and played in some gigs in Berlin with his band. His voice made him stand out. Greatly infl uenced by African-American musicians such as Ray Charles and BB King, renowned for their powerful voices, Sandhy often takes people by surprise with his soulful voice. Should you hear his voice without knowing anything about him, you might even guess that he is an African-American singer because the way he sings is so "black". That he is Indonesian surprises many who hear his voice first. He interprets all kinds of songs, such as Percy Sledge's classic "When A Man Loves A Woman", in his own distinctive style. "I'm a big fan of African-American musicians with their blues and soul music. I always sing songs the way I want to sing them, with my own character," he says, adding that if the legendary BB King happened to drop by one day, he would be delighted to write a song with him. He developed as a self-described "all-round musician", spending many years jamming with musicians in jazz bars in Berlin and other cities in Europe. Recognizing his great talent, some African-American musicians in Berlin encouraged Sandhy to take the next step and make his breakthrough. His talents began to attract wider attention when he took part in a talent show, created by prominent entertainer Stefan Raab, that aired on German TV two years ago. The aim of the program was to fi nd young musicians. Even though he came fi fth in the fi nal, Sandhy's performance impressed many major German musicians such as Gregor Meyle. His participation in the competition also opened up the way for further opportunities in a number of shows such as House of World Cultures in Berlin. 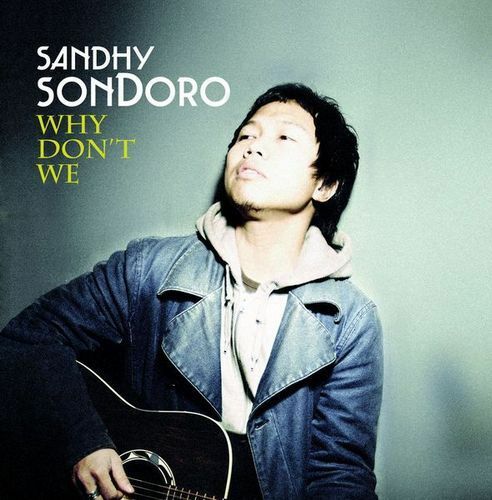 The release of his debut album Why Don't We, in early April 2008 marked Sandhy's entry into the music industry. The album contains 12 songs in English. His first single "Shine", for which he collaborated with duo DJs, Ibiza and Dublex Inc, was soon in the radio charts in major European cities such as Berlin, Madrid and Paris. It was a good start, but Sandhy was not about to rest on his laurels. He continued to try new things, including competing in New Wave, an international music competition for young singers, in Jurmala, Latvia. The annual contest has become an important event in the international music arena because its live concerts on central channels attract millions of spectators and attention from important journalists and media - not to mention the fans, who are impassioned about the event and support the competitors with all their hearts. "It wasn't completely my own idea *to take part in New Wave*. Brandon Stone *music producer* suggested I take part in the competition," he says. "I'm not really the kind of person who is crazy about participating in American Idol-like contests, but I took the opportunity as a way of getting free promotion. Besides, I love Indonesia and I wanted to promote the country at the international level." He had little idea of winning, although he admitted he wanted to. "But in any case, *I thought* I would benefi t from the atmosphere of the contest and from working with professional artists," he says. In the competition, he proudly performed his own song, "End of the Rainbow", for the judges. The song and his performance captured the judges' attention; he ended up sharing fi rst place in New Wave with a Ukrainian singer. The victory gave him the opportunity to realize one of his dreams: to tour the world. "I'd like to share my songs with people *everywhere*, so that they can enjoy my music," Sandhy says. Despite his achievements and international exposure, Sandhy remains a nice person with a great sense of humor. He is certainly not the kind of a singer who becomes a snob just because he has lived and had successes abroad. At the beginning of our recent interview, Sandhy, sporting blue jeans, an orange T-shirt and a scarf, started out quietly, with a little smile on his face. But as time passed, he became more animated and warm, starting to tell some jokes and fooling around. During his spare time, he says, he likes to write songs or watch funny movies. "I like comedy. It really saves my tough days," he says. "My favorite is Benyamin Sueb. He's awesome." Although Sandhy has been living in Germany for years, he has not forgotten his home, and sometimes performs at gigs in Jakarta. He recently accompanied himself on the guitar for a performance of "Bengawan Solo" for the opening of a batik exhibition in a shopping mall. His fans in Indonesia can listen to his soulful voice on an album called Jazz in the City, from Sony Music Indonesia, containing two of his songs, "Malam Biru (Kasihku)" (Blue Night (My Lover)) and "End Of The Rainbow". He will also be working with star Glenn Fredly for the latter's next album. With his music career well on its way, Sandhy freely admits that when he was younger, it never crossed his mind that he might end up earning a living from music. "I used to want to be an architect, you know. Because I like drawing. I sometimes drew comics during class when I was a student," he says. "But I have changed my mind. Being a musician is much simpler. All I have to do is bring my guitar and sing." And he plans to stick with music in the future. "Because I'm a natural born singer. I can't do anything better," he says. "It's what I do best." Ladies and gentleman, let's welcome our very own newborn world singer! 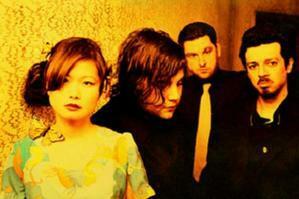 Groupe New-Yorkais accompagner de cette fabuleuse chanteuse Asobi Seksu d'origine Japonaise !! Ce quatuor nous envoie dans des déferlantes de son psyché pop-cadélic , via des riffs sonores oscillant entre la douceur et la rage !! Un plaisir pour les oreilles ! La voix cristalline de la chanteuse se porte merveilleusement bien a cet exercice de style . Si vous aimez le son popi rocki découvrir d'urgence !!! Sinon pour les autres , je vous conseille tout de même d'écouter "Citrus" certains morceaux son vraiment très entrainant ! Rachel Sierra has been writing music since the age of eight years old. At just thirteen she began performing her original songs in coffee houses all around the Bay area. She has graced numerous Wineries around Sonoma County with her soulful renditions of great Jazz standards, and performed three years in a row at Sonoma State University's Festival on the Green with her Father's band Hotlips and Fingertips. With fifteen years of experience on the piano and five on the guitar, Rachel has kept audiences intrigued with her heartfelt expressions of life, love, and everything in between. Influenced by everyone from Nina Simone to Ani DiFranco, the Beatles to Bob Dylan, Rachel delivers her powerful lyrics through many different genres of music such as Folk, Blues, Jazz, Funk, and Hip-Hop. As the front woman in her band Higher Funktion, a Humboldt County based Funk/Reggae band, Rachel has seduced many a crowd with her true to life lyrics and commanding stage presence. Higher Funktion performed from 2001-2003 at venues in San Francisco and all over Humboldt County. In 2004 Rachel left the band to pursue her dream of becoming a working performing artist and Enrolled at the Musician's Institute in Hollywood, California. It was there that Rachel met Tre Hardson formerly of the Pharcyde, the legendary Los Angeles based hip-hop group. Tre was quick to recognize her talent and swiftly recruited her for her first inter-state tour singing back up vocals for his solo project with his band Fuqawi. The tour took Rachel through California, Arizona, New Mexico, Colorado, Utah, and Oregon. This would prove to be just a warm up for the summer festivals of 2005 including "Reggae on the River", and the "Reggae Fest 2005" in Truckee, California where she performed along side Michael Franti and Spearhead, The Wailers, and Damian Marley. In September of 2005, Rachel left the country with Tre hardson for her first International tour. The 18 city, eight country, three week tour proved to be the most valuable stepping stone in her career, learning of the hardships and the triumphs that accompany life on the road. Rachel recently signed to Arthropoda Records in November 2006 based in her hometown of Los Angeles, California. Held under the knife is the Rachel Sierra Project’s first full length recording, released January, 2008. the Band Members are Blair Shotts (Drums), Christopher Freeman (Bass), Tiffin Roley (Guitar). Other players on the Record include The Under the Knife Choir (Back-up vocals); Angela Carole Brown (Back-up vocals); Ryan Cross (Stand up Bass, Cello); Mark Indictor (Violin); Early McCallister (Saxophone); Mike Daigeau (Trombone); Elliot Deutsch (Trumpet); and Lance Morrison (Guest Bass). Après une demi-année 2008 riche en déceptions, il est de temps à autre réconfortant de tomber sur de bons et honnêtes disques qui, en toute lucidité, passeront presque inaperçus. Ce fut le cas de Flotation Toy Warning il y a quatre ans, de Bodies of Water ou des Dusty Rhodes il y a quelques mois. 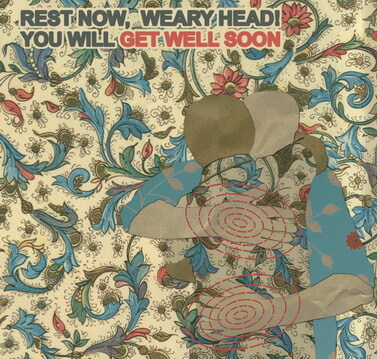 Ce sera probablement le cas du séduisant opus de Get Well Soon, faux groupe de l'allemand Konstantin Gropper. Pour situer rapidement, le monsieur propose en quatorze titres un gigantesque et envoûtant brassage des dix dernières années de musique contemporaine, de Mercury Rev (le magnifique crescendo "I Sold My Hands...", voix au bord du précipice et coulée d'accords cristallins) à Radiohead (les synthés filtrés, recomposés, laissés en suspens, à la dérive... sur "Born Slippy Nuxx", entre autres) en passant par Arcade Fire et Beirut (le côté très musique de chambre et folk hi-fi du "Prelude" et "You/Aurora.." ) mais composés avec tant de talent, chantés avec tant de sensibilité, arrangés avec tant d'intelligence qu'à aucun moment on ne se sent floué ni embarassé. Même lorsque, musicalement, on comprend bien qu'il ne s'y cache rien d'extraordinairement créatif, comme sur la touchante "Lost in the Mountains (of the Heart)", probablement recyclée tant de fois qu'on ne saurait le dire, la passion y étant innervée qu'on ne peut s'empêcher de garder ses yeux fermés et se laisser aller à d'étranges imaginations. Certaines autres pistes foutraques arrivent à dégager l'horizon et à plonger l'auditeur dans d'obscures circonvolutions intérieures, sans qu'on sache exactement quel chemin emrpunter pour en revenir ("We Are Safe Inside..."). Par ailleurs, demeurons justes : il y a au moins quatre ou cinq titres uniques et fabuleux dans cet album dense et peu avenant. Ne citons que l'exceptionnelle "Witches! Witches! Rest Now in the Fire", ironique ode à l'Inquisition portée par des choeurs de martyrs et une section de fausses cordes guillerette à souhait, qui vaudrait à elle seule à Get Well Soon un ticket pour l'immortalité. L'ensemble est toujours d'une désarmante ferveur, et en ces temps où la volonté de défricher, de s'émerveiller, de sortir des rangs vous vaut son montant de louches regards décochés, "Rest Now!" sonne comme un appel, non à la révolte ou à je ne sais quelque révolution de caniveau, mais brûle plutôt d'un incandescent désir de découverte, de voyages, d'une tendre affirmation de l'obscurité et du mystère inhérents à la nature humaine. Il y a bien quelques baisses de niveau, certaines facilités, mais il y a toujours un moment dans l'album où durant quelques secondes la conscience décroche, et se laisse transporter d'un espace mental à l'autre, libre d'odeurs, d'images, de sensations étonnantes, l'esprit tendu aux marges. Il y a quelque chose dans cet album qui sonne à la fois juste et débridé, qui mystérieusement touche un point sensible sans que la douleur ne se retranche jamais de la grâce et de la beauté. En fin de compte, ne l'oublions jamais : la beauté n'est pas un art mineur. Elle fait tourner le vieux monde. La première chose qui frappe à l'écoute de ce nouveau Neil Young, c'est le son cradingue des guitares, un son franchement garage qui, sur des titres comme "Fuel Line", atteint son paroxysme. Et, vu les derniers clips du Canadien (ou plus simplement la pochette du disque), ça a l'air d'être son nouveau credo : du brut, pas de peaufinage ou de fioritures ! Ceci dit, après deux ou trois écoutes, on fait très vite abstraction de ce son et on peut apprécier véritablement ce disque. La seconde chose que l'on remarque, c'est, sur la pochette, le petit logo "Produced by The Volume Dealers" (Neil Young & Niko Bolas), le duo ayant produit pas mal des derniers albums de Young mais aussi "This Note's For You", album très rythm'n'blues en 1988. Et justement, sous la couche de rock mal dégrossi, on a à faire à un album assez groovy ; si les cuivres ne sont pas au rendez-vous, les voix et l'orgue Hammond se chargent, sur pas mal de chansons, de la chaleur du son. Le troisième point notable, c'est qu'au moins la moitié des titres font directement référence à la route, ce qui n'est pas si étonnant quand on connaît l'intérêt de Neil Young pour les vieilles voitures et le développement des véhicules électriques. Rarement cependant, un même thème avait été aussi présent sur un album. Un quatrième aspect (et pas des moindres) de cet album, c'est qu'il ne laisse pas de place à l'ennui - ce qui était, hélas, un peu trop souvent le cas sur quelques-uns des derniers albums de Young ("Greendale", "Prairie Wind"). Ici, on a le choix entre rock franc du collier ("Johnny Magic"), parfois surprenant (le refrain de "Cough Up the Bucks" a quasiment des accents hip-hop), mélodies soul ("Fuel Line", "Hit the Road", ...) et boogies endiablés ("Fork in the Road"). Et puis, il y a "Light a Candle", petite merveille de folk dépouillé où Neil Young, chante un timide espoir ; un titre comme on n'en avait pas entendu depuis "Music Arcade" en 1996... Voilà, on pourrait continuer l'exégèse encore longtemps en se penchant sur des chansons comme "Just Singing a Song" ("won't change the world" dit la suite...) mais le fait est que "Fork in the Road", s'il ne fait assurément pas partie des tout meilleurs disques de Neil Young, n'en reste pas moins un album plus qu'honorable.